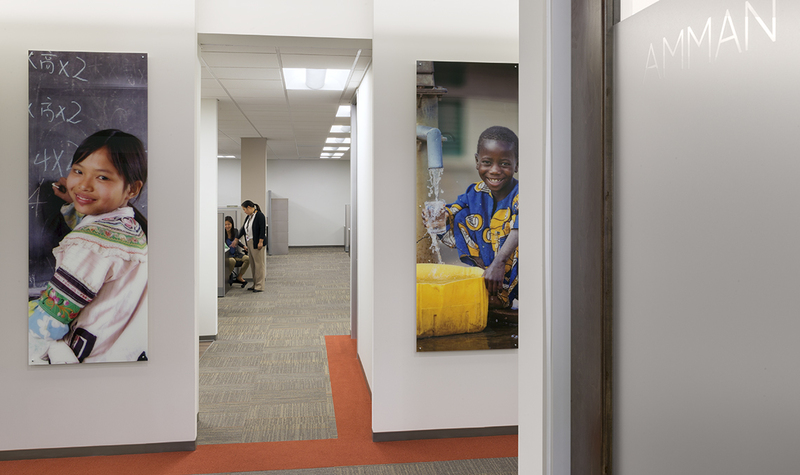 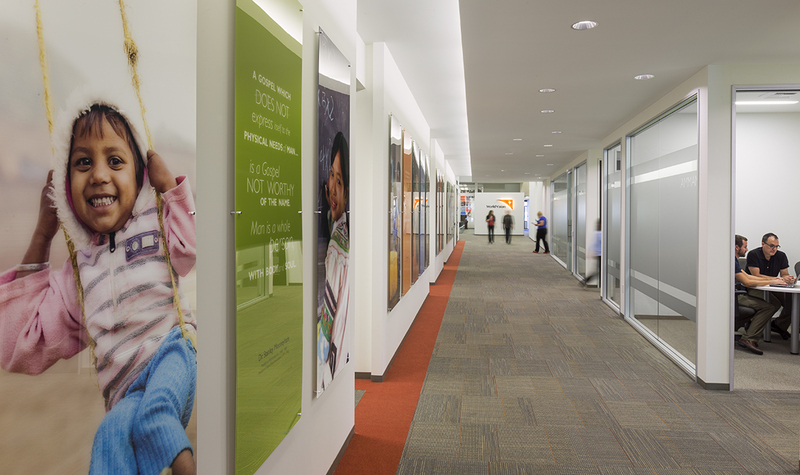 World Vision International's project goals were threefold: consolidate their US headquarters from two separate properties into a single 1,250 square foot warehouse space, maintain a humble budget, and reflect the nonprofit’s charitable mission through uplifting design. 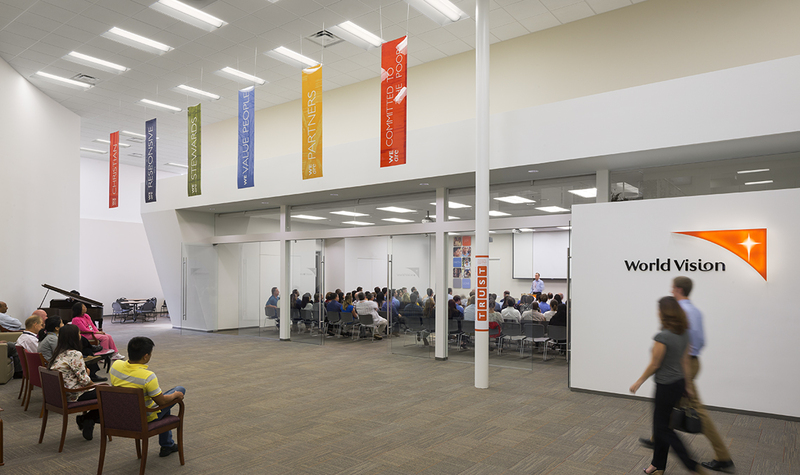 To accommodate these ambitious objectives, Kamus+Keller, the client, vendors and construction team identified design priorities early in the planning process and steadfastly committed to adhering to the strict allotment of funds. 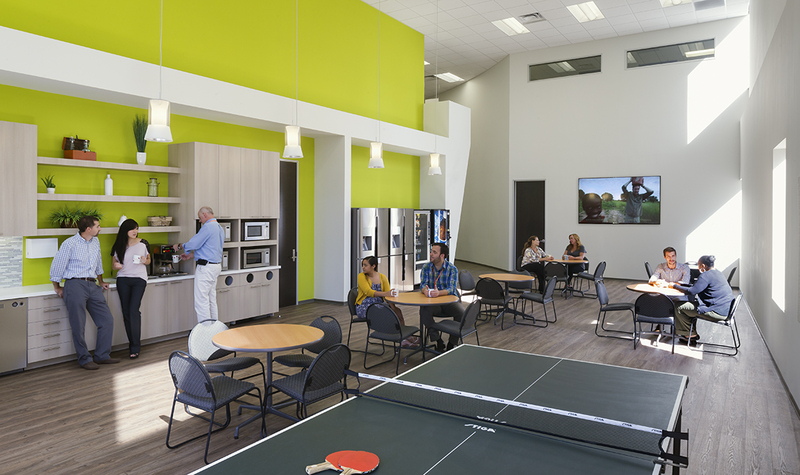 Kamus+Keller implemented highly creative solutions that addressed the budget constrictions and dramatic space reconfiguration. 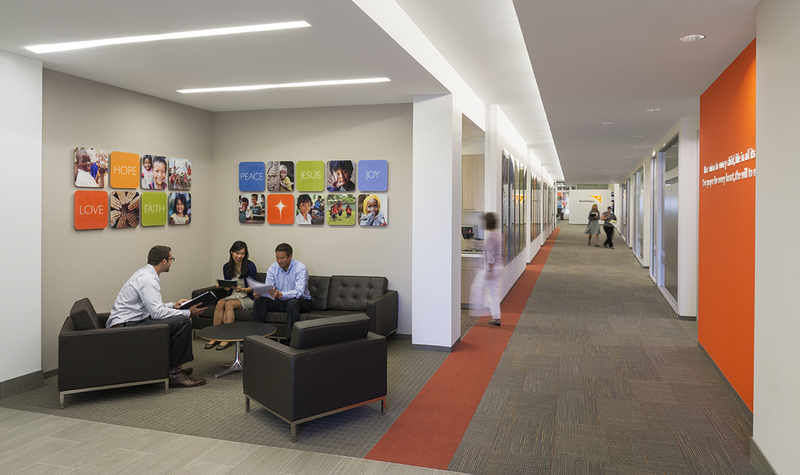 The open concept area was maximized by replacing partition walls with modern hoteling stations, establishing collaborative/flex rooms throughout, clean white walls accented with high, bright windows, and grounded by a dramatic corridor stretching the length of the office. 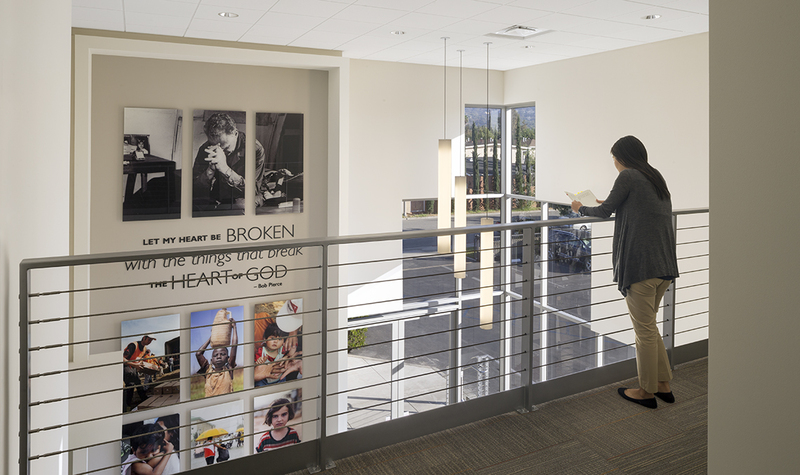 Personal stories, field photography and inspirational quotes were installed on virtually every wall, reinforcing the nonprofit’s devotion to its core values. 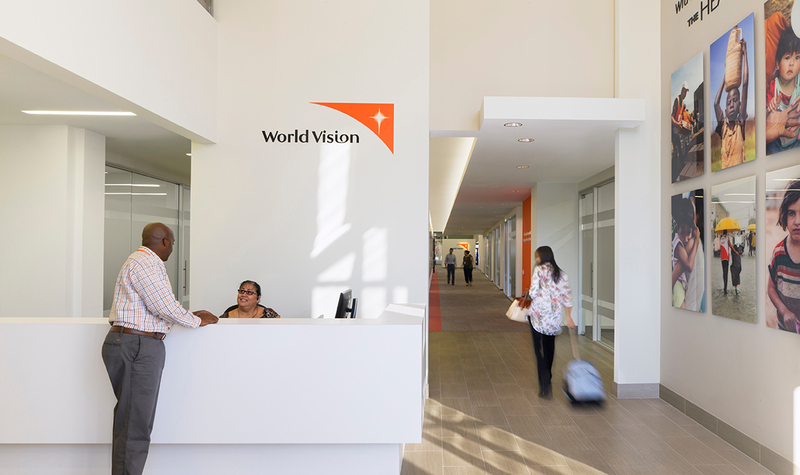 As a result, the office is now a living testimony of the organization, an emotionally impactful and joyful space that is able to, without a word, tell visitors the story of World Vision International.